If you're a US fan of superminis, specifically the Nissan Micra, move to Canada. 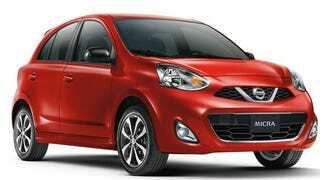 Nissan announced they're bringing the Micra to our northern neighbors (but not to us). As you can see from the above image, it's been restyled a little from the international version. The news also says that since the Canadian MVSS so closely follows the FMVSS, the Canadian Micra is just about US-legal (it probably will lack the sticker stating FMVSS compliance, therefore making it illegal), and Nissan Canada hopes to sell a tidy sum of them, up to 60% of which are expected to be sold in Quebec. Shame the US is still obsessed with crossovers/SUVs/trucks. The subcompact and supermini field here could always have another car tossed in.